Our American car flags feature the classic USA design which includes 50 stars set upon a blue canton and the traditional 13 red and white alternating stripes. The 50 stars represent each of the United States, while the 13 stripes represent the original colonies. 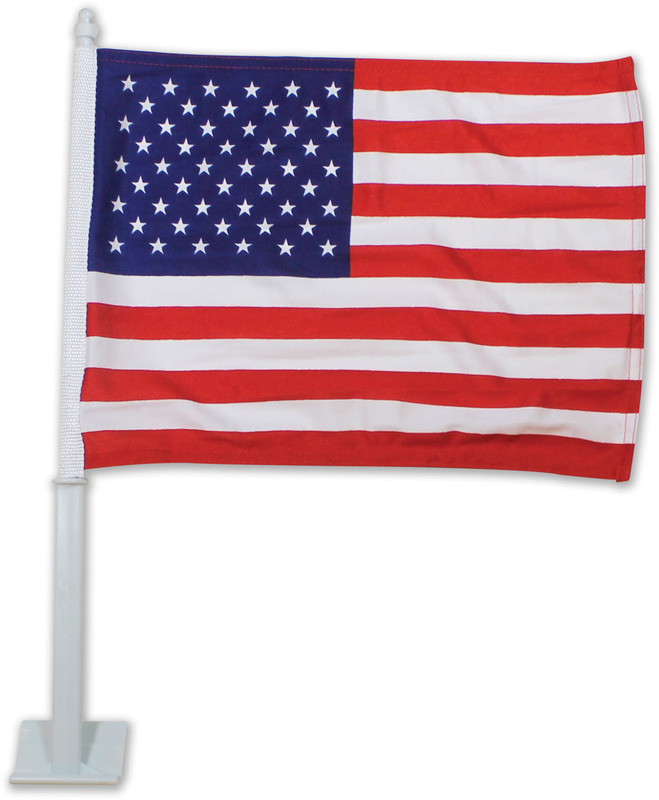 This flag is ideal for car dealerships that wish to decorate the vehicles in their lot with a patriotic symbol that is sure to enhance their appeal. They can also be used by private individuals to decorate their own car. They work all year round, but are especially popular during special patriotic occasions such as the 4th of July and Memorial day. 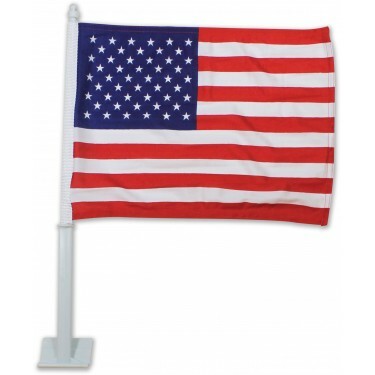 If you are looking for a patriotic symbol to attach to a vehicle, then this is the ideal car flag for you.